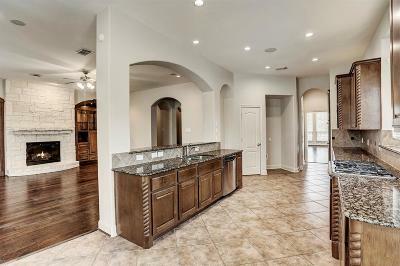 In the gated Estates of Shadow Creek Ranch. 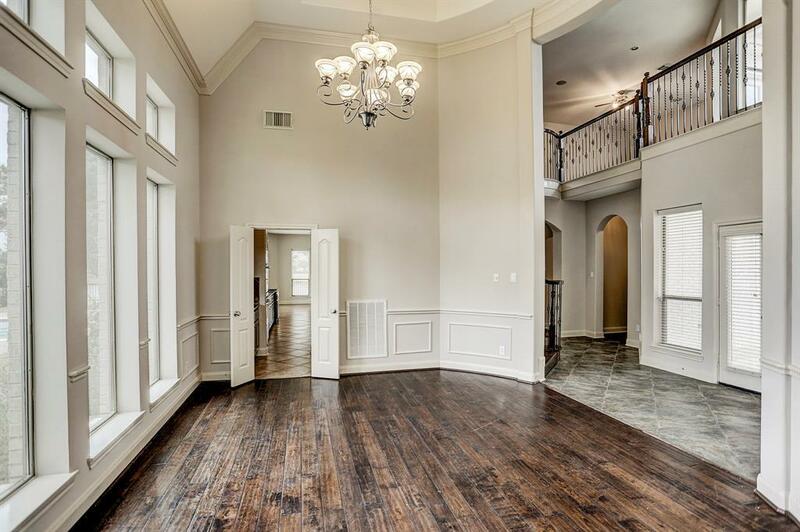 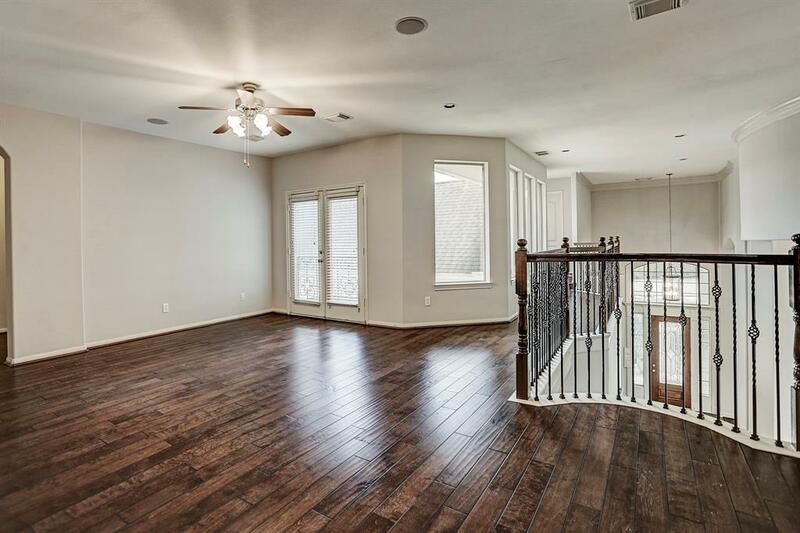 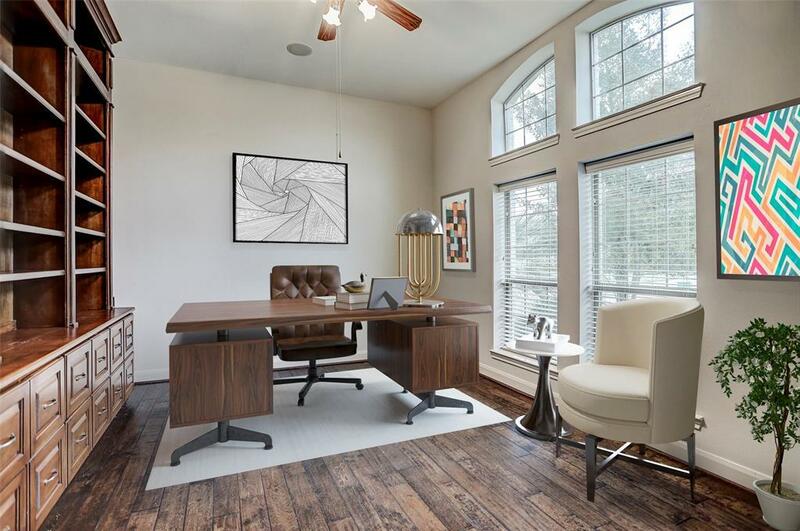 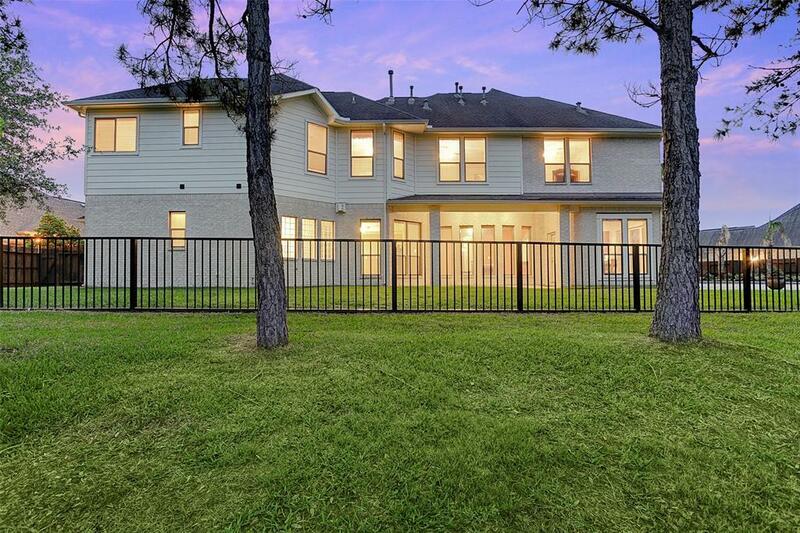 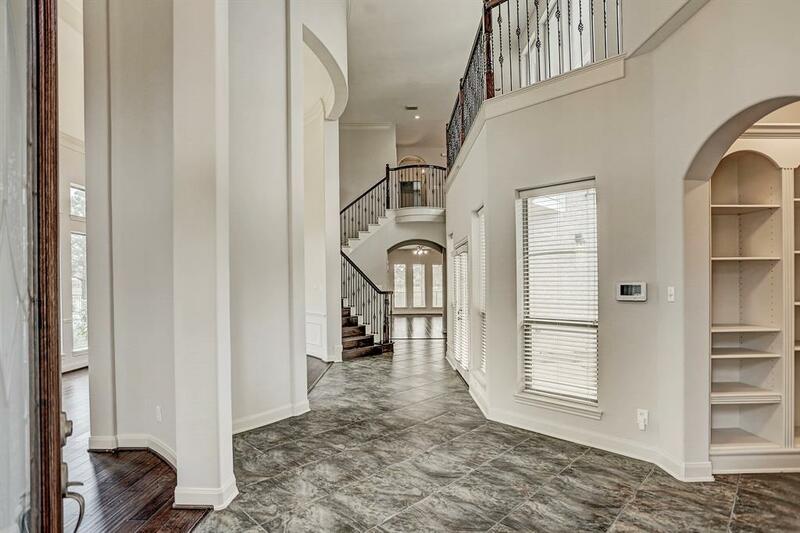 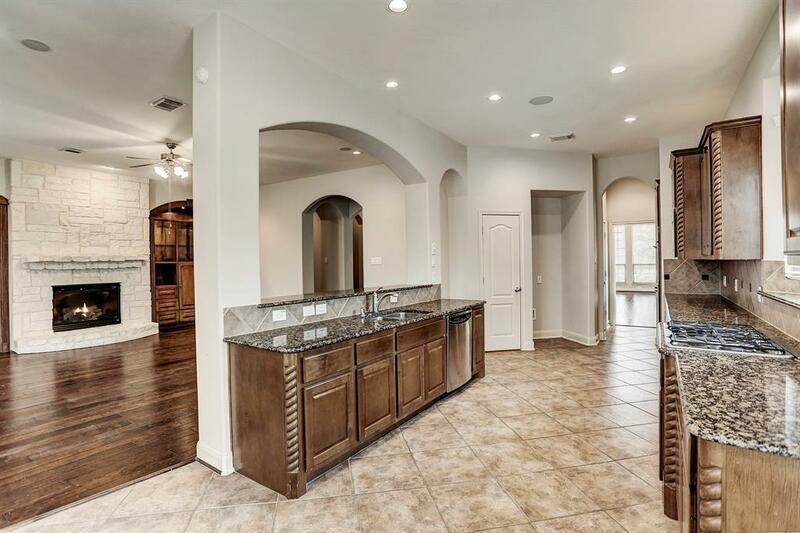 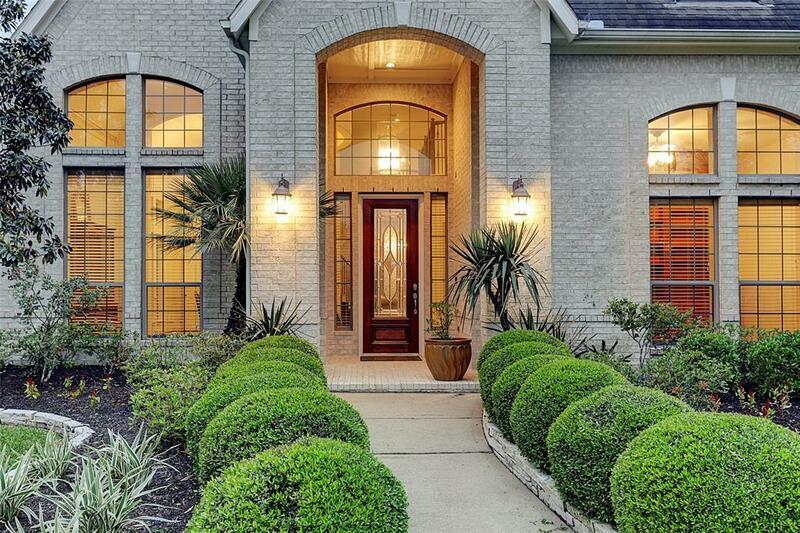 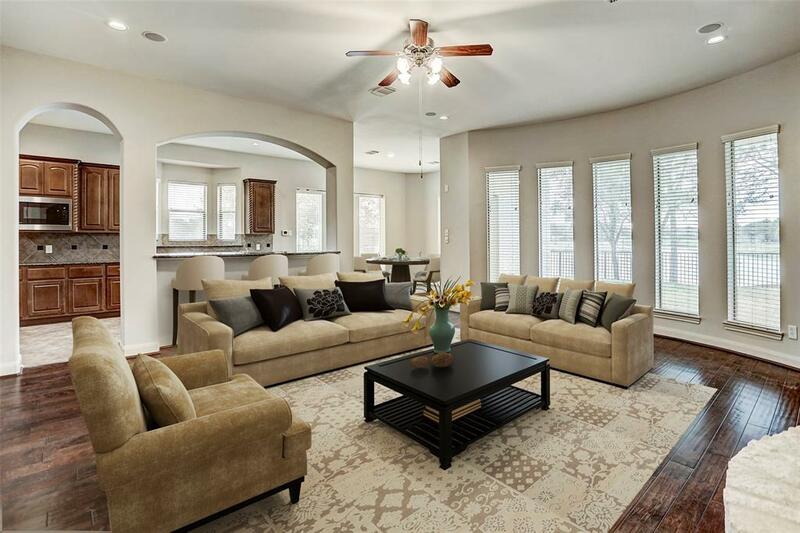 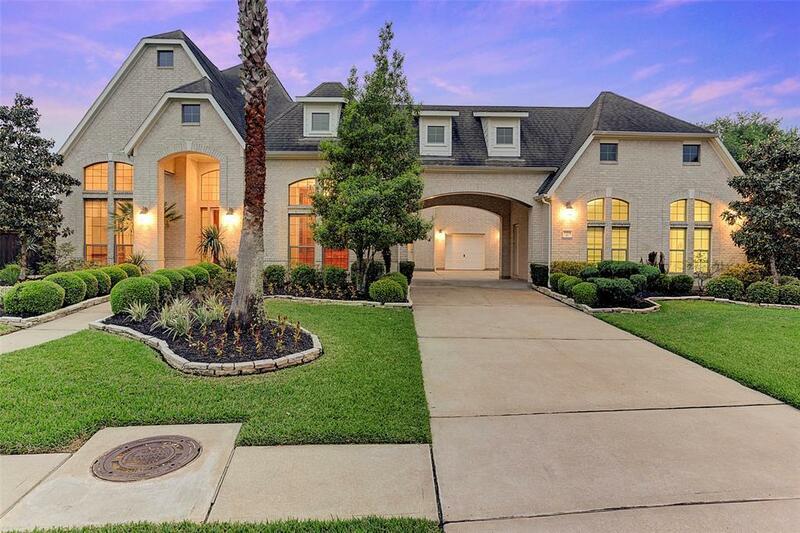 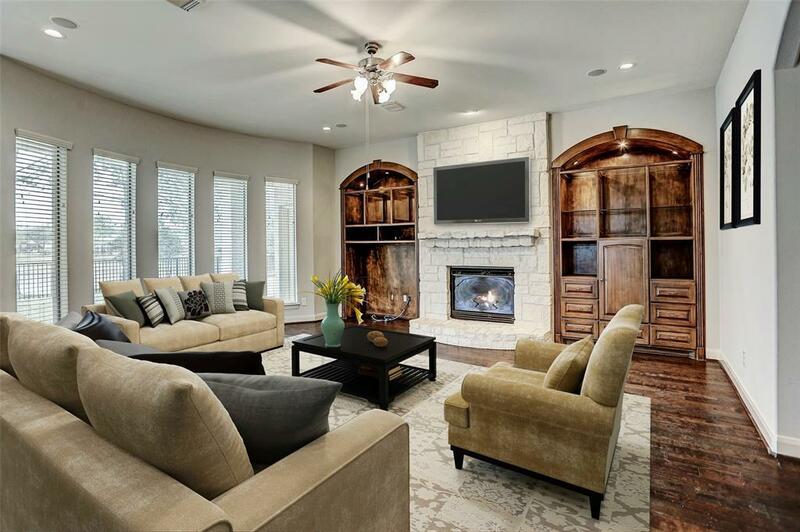 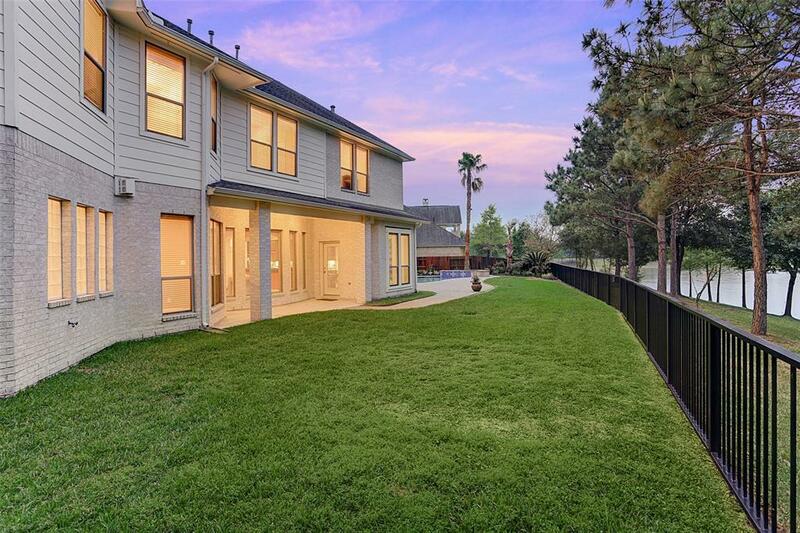 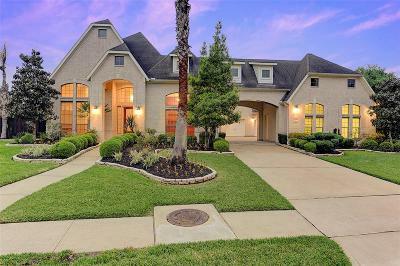 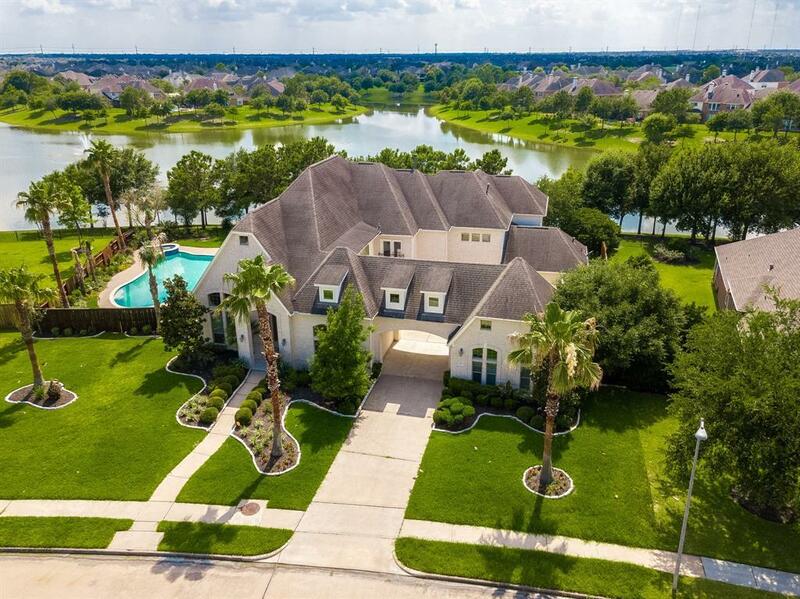 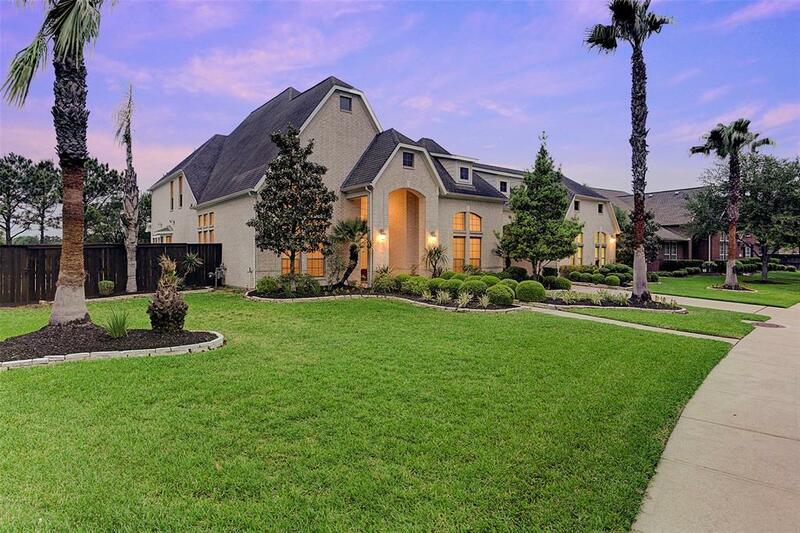 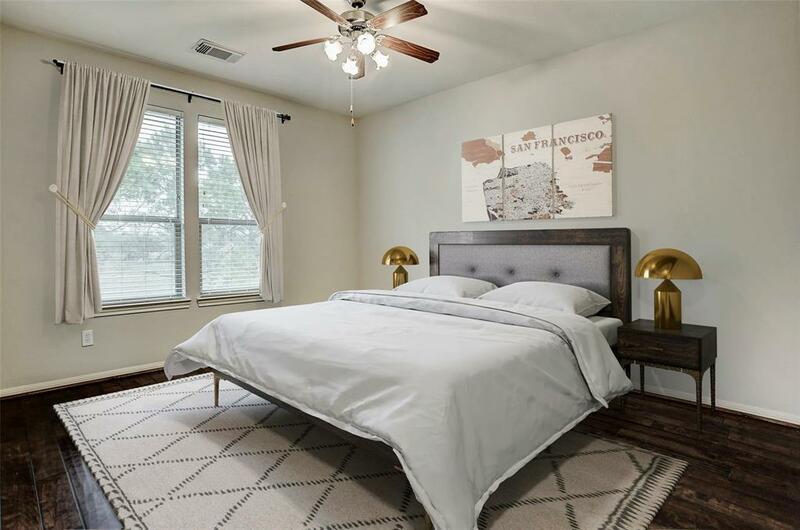 6069 sq ft, 7 beds, 4 full & 2 half baths, a room for hobbies/crafts, flex rm off the master, wine storage niche, study niche off gamerm & a separate study w/ double glass entry doors. 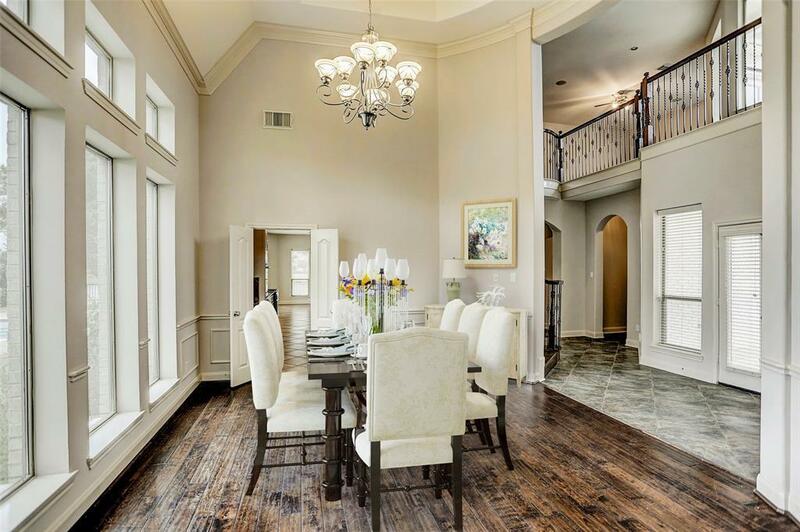 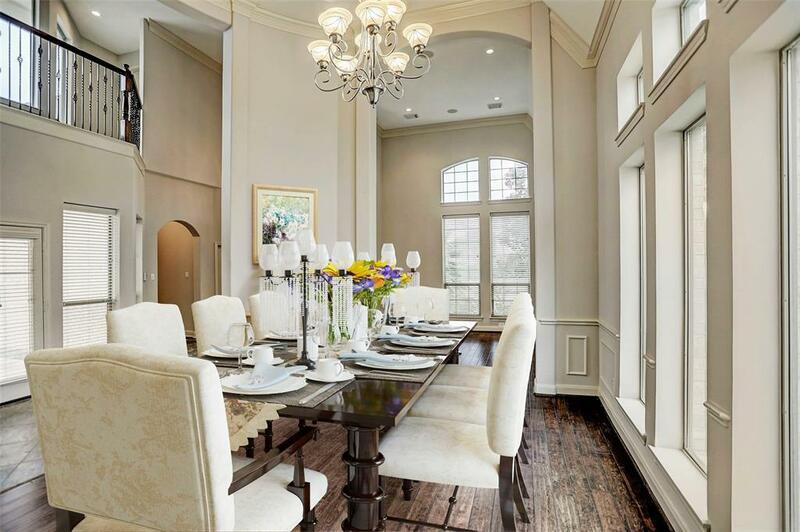 Formal living/dining rms w/ vaulted tray ceilings. Study w/wood built-in shelves & cabs. 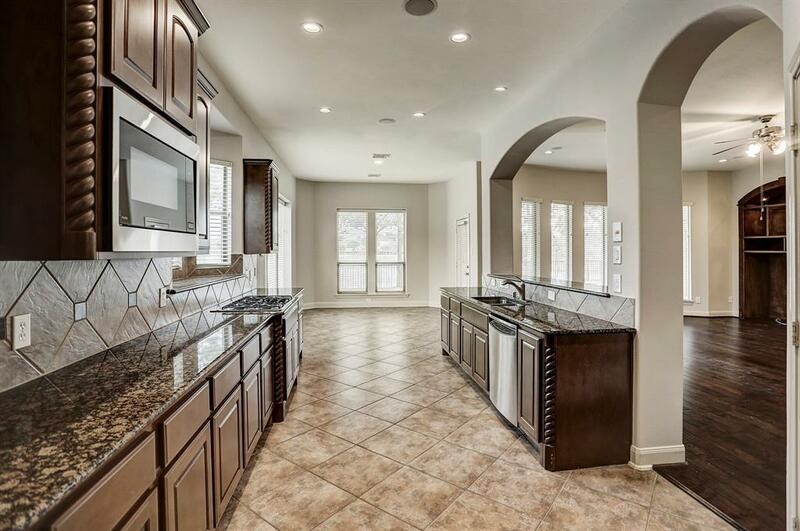 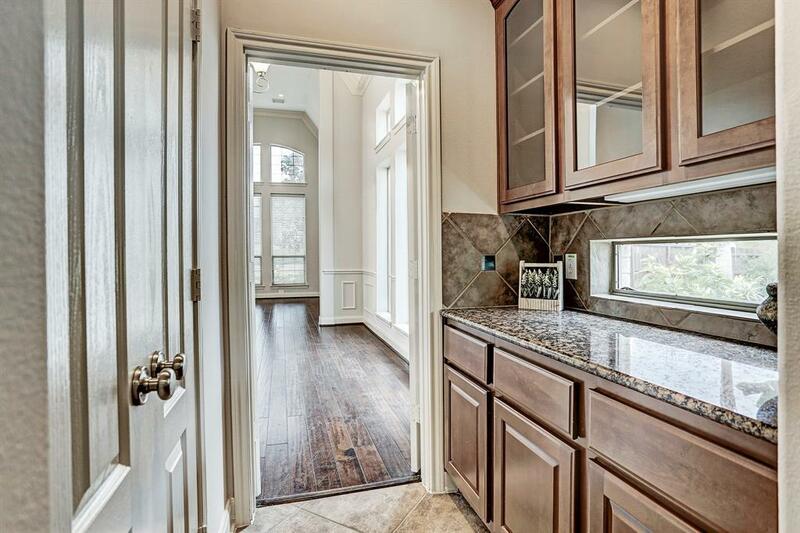 Open concept kitchen w/ butler's pantry, granite CT, breakfast bar, stainless apps. 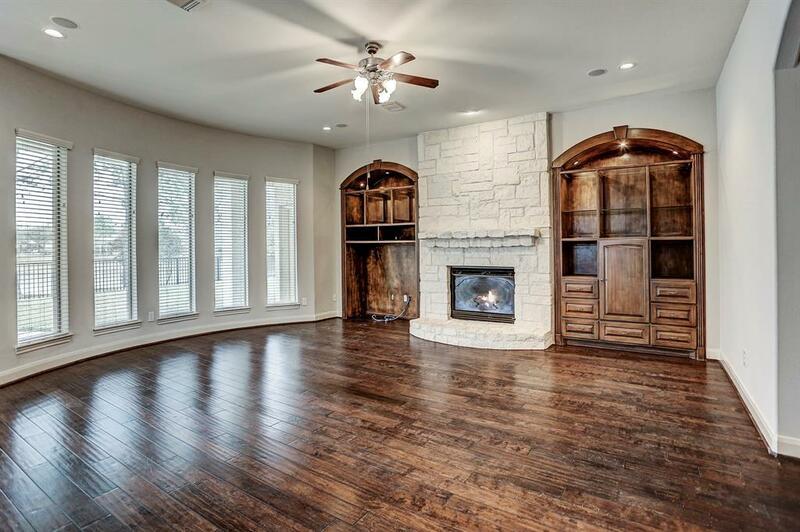 Den w/ gaslog fireplace/limestone surround, lighted built-ins & wall of windows overlooking the lake. 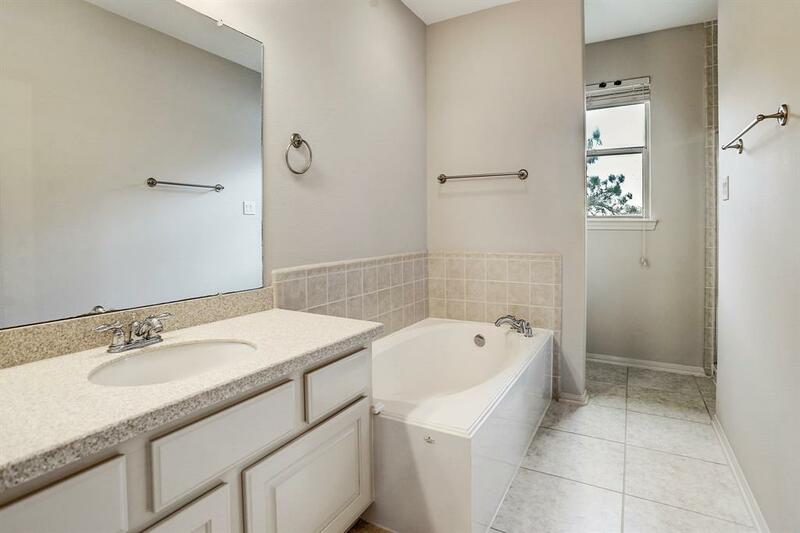 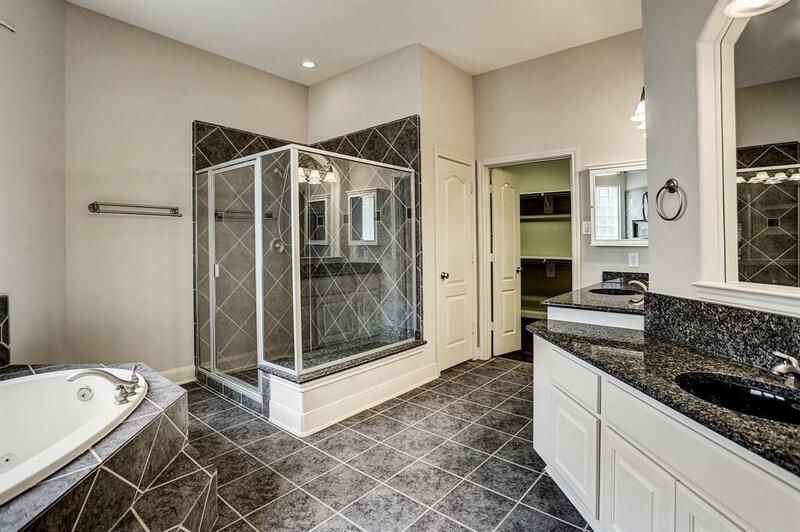 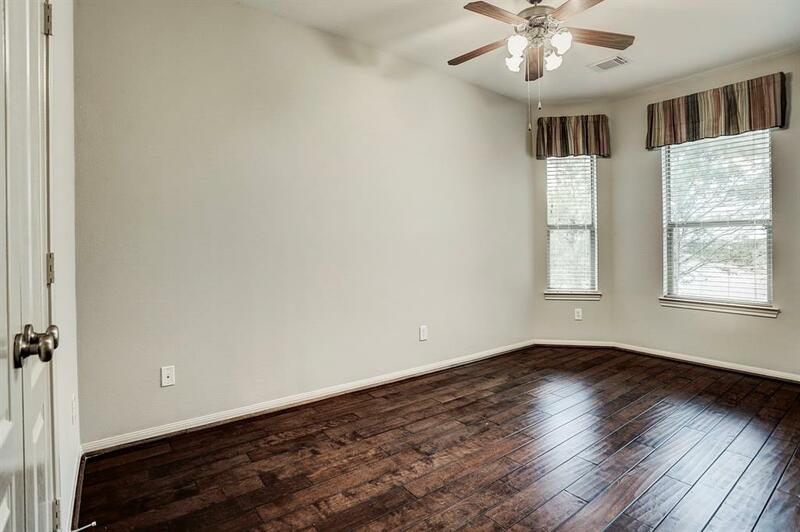 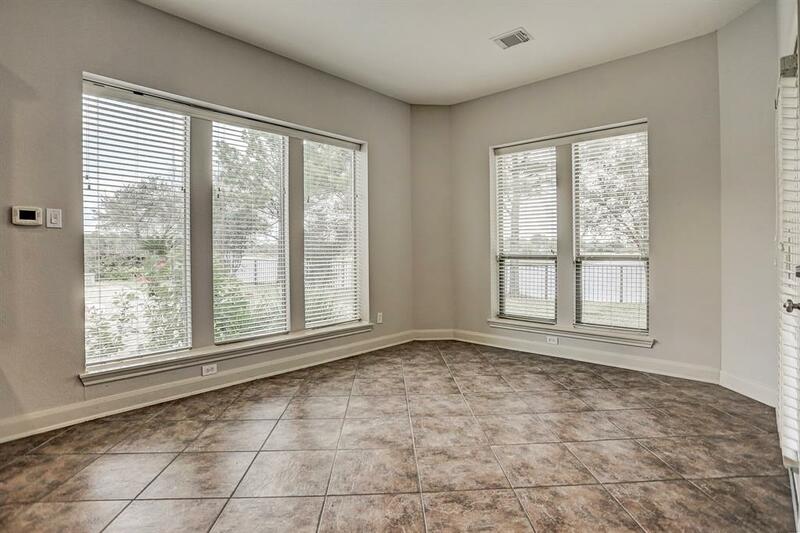 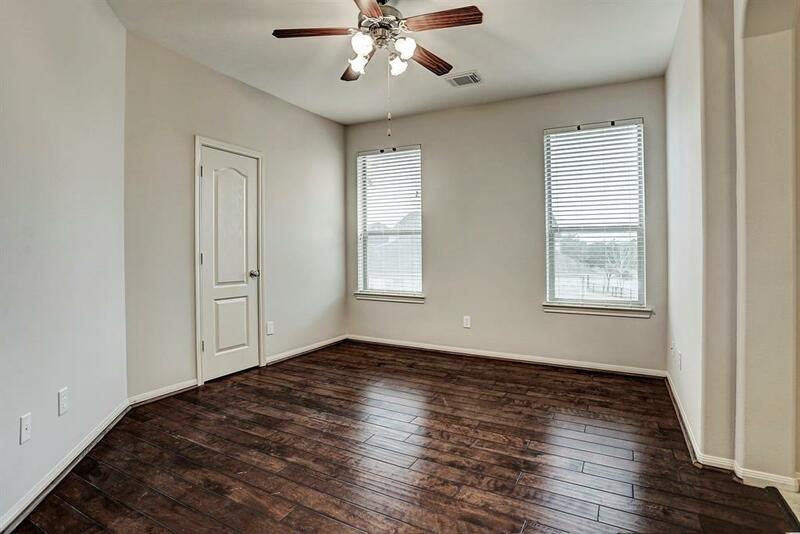 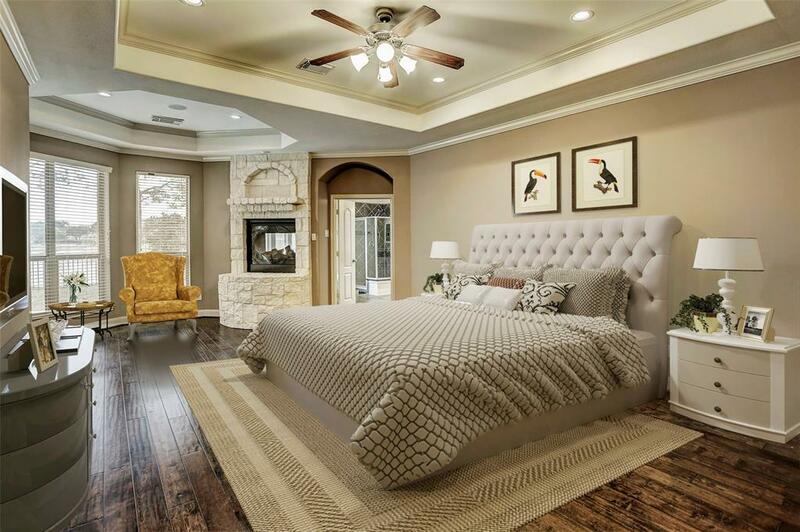 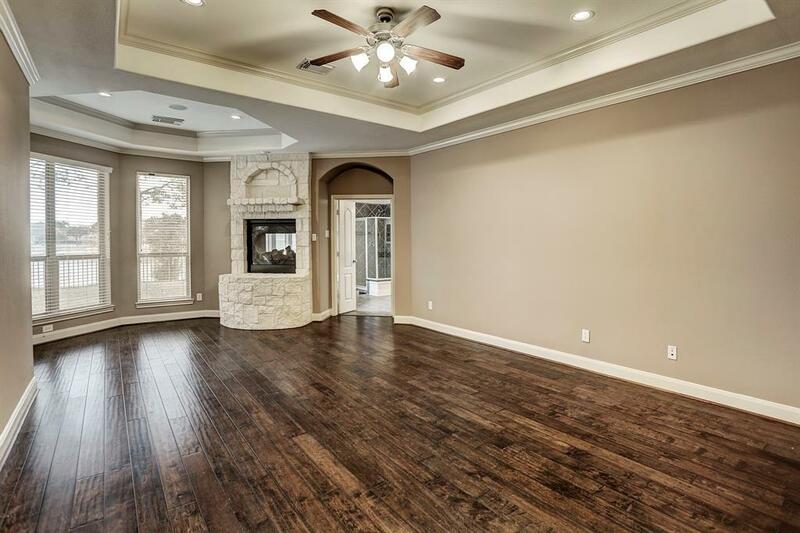 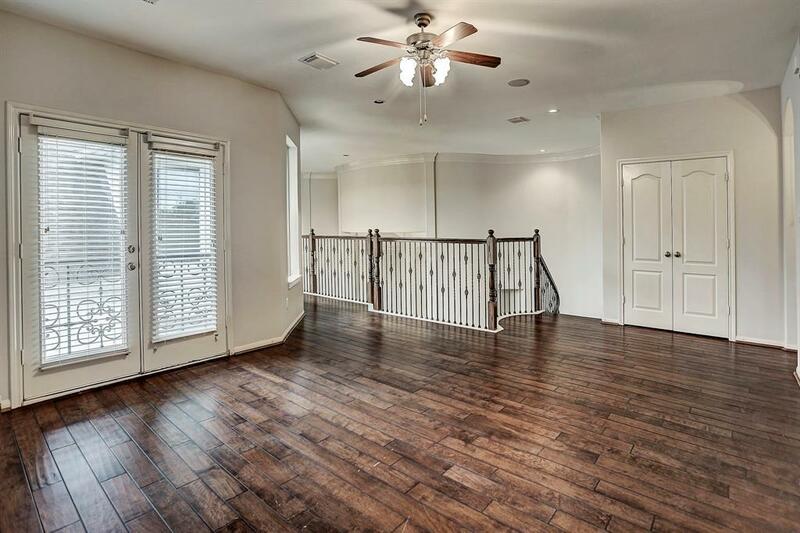 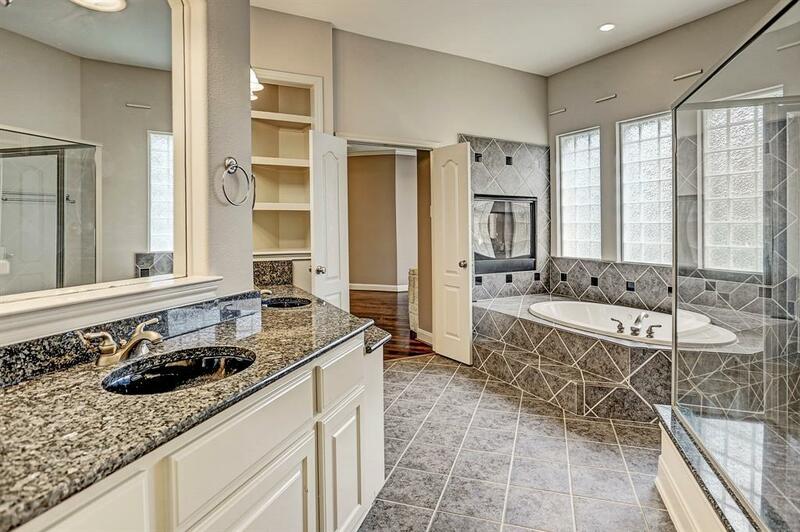 Master suite w/ tray ceilings, double sided fireplace & access to the back patio. 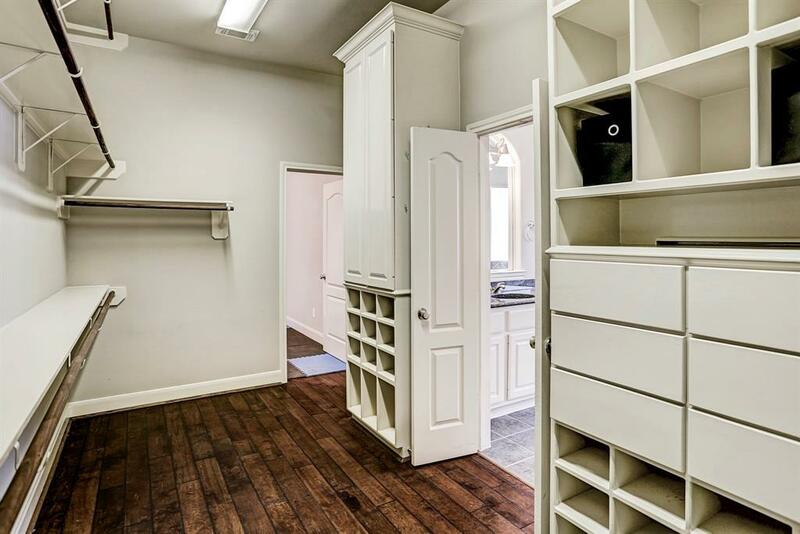 Off custom master closet is a flex rm, used as a home gym. 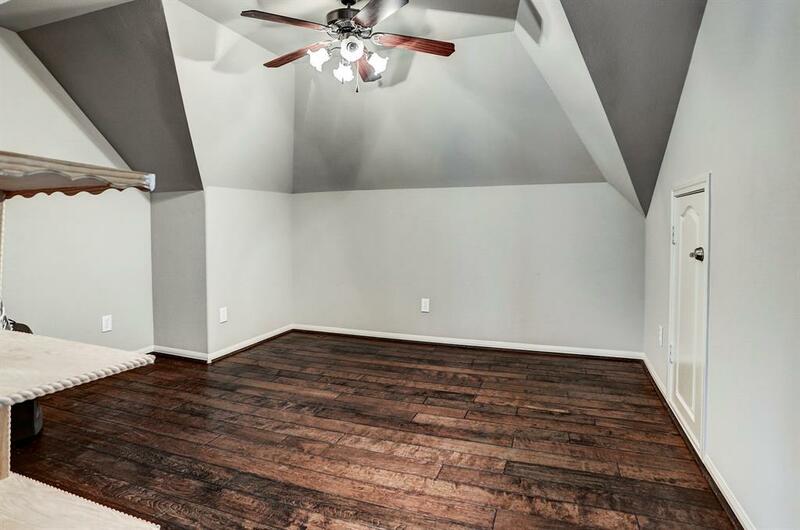 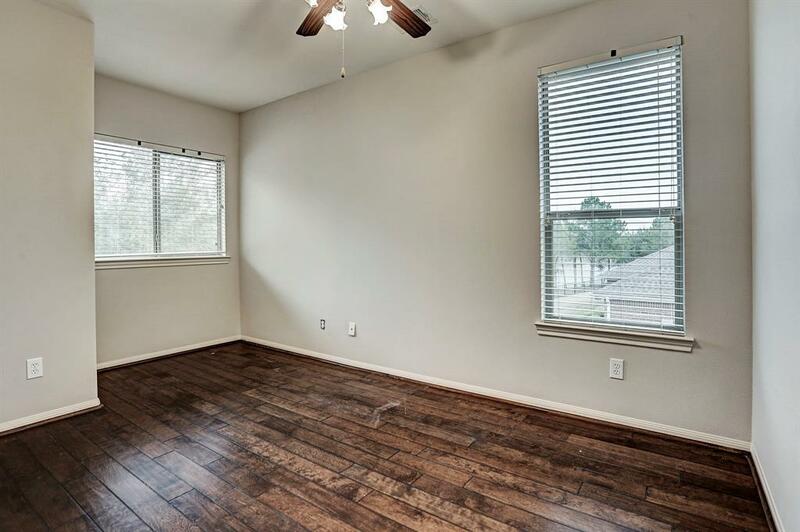 This space could be nursery or additional closet space! 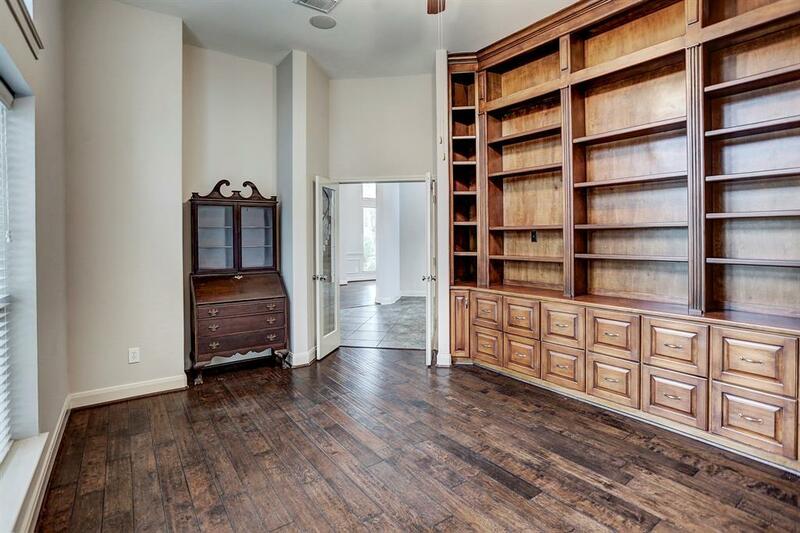 Gamerm up. 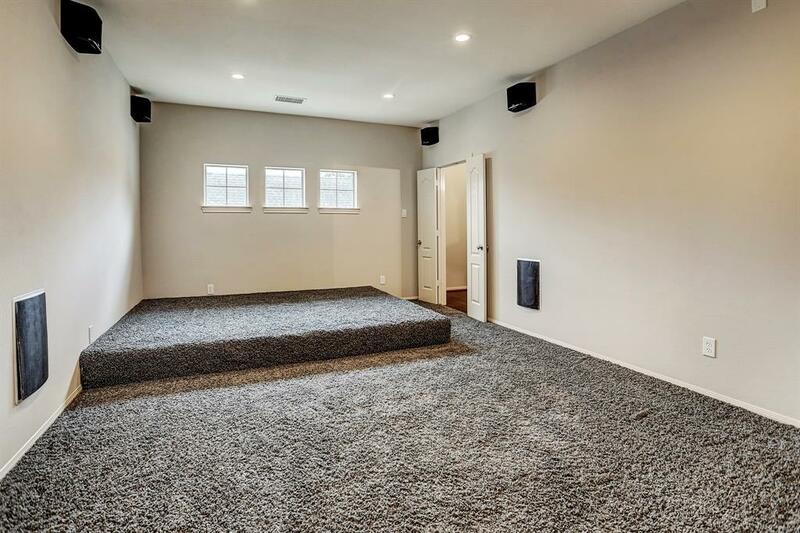 Media rm w/ plush carpet, raised seating area, surround sound. 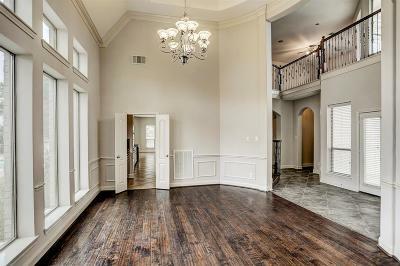 Living & bedrms w/engineered wood flrs. 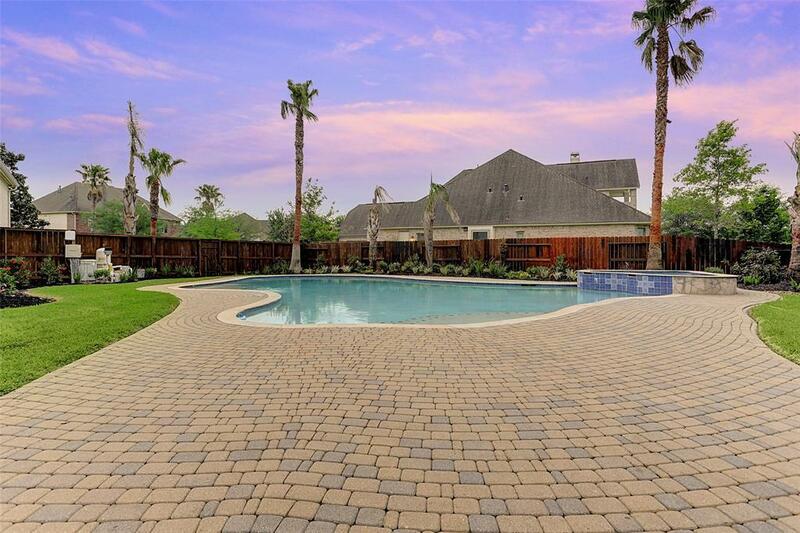 Multiple patio areas. 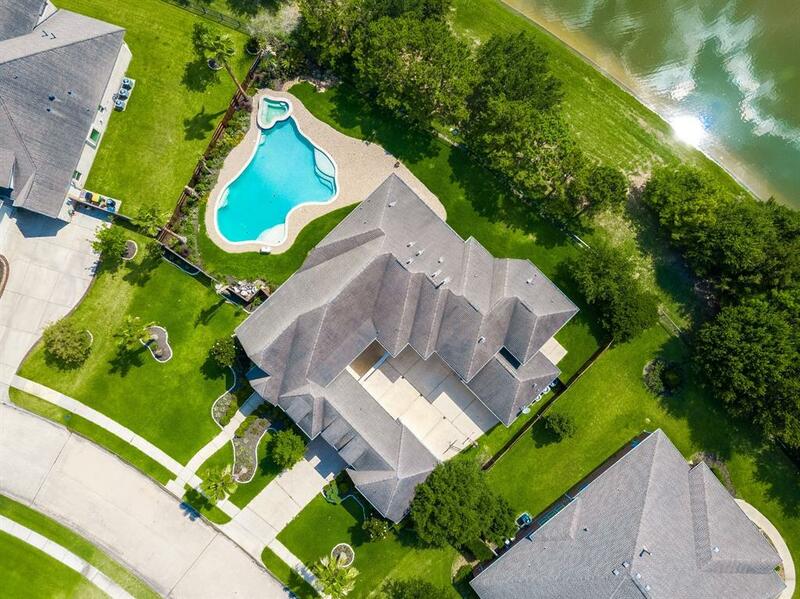 Backyard paradise w/450 sq ft pool on the waterfront! 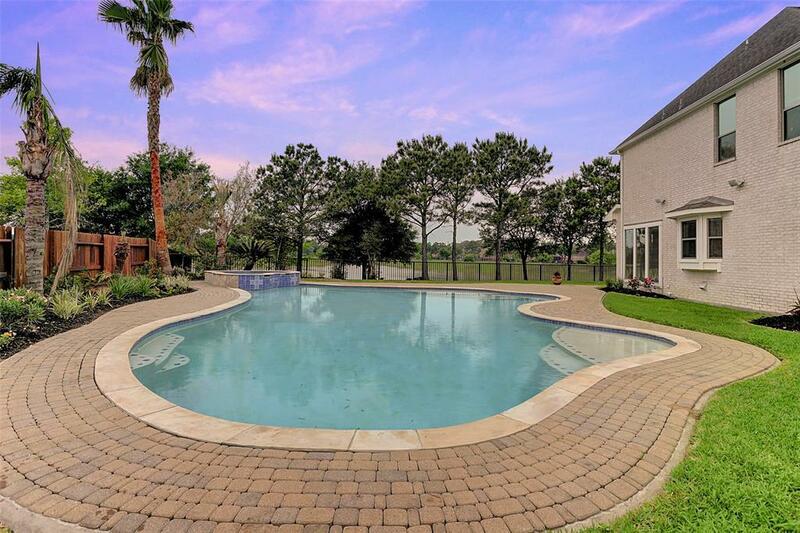 Feed the ducks, fish or just enjoy the sounds of the fountain on the lake. 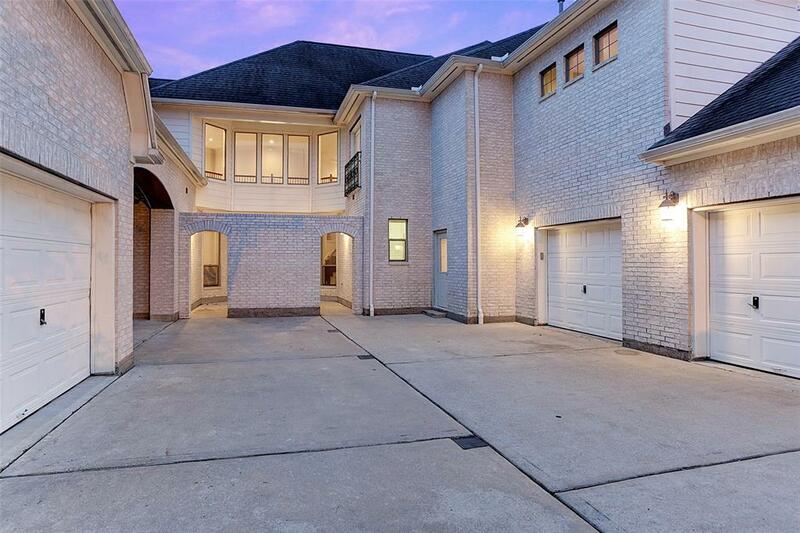 Easily converted to 5 car garage!